Looking to offload those pesky tasks of looking for and installing updates, checking for viruses, and wondering if your PC is running out of disk space or memory? 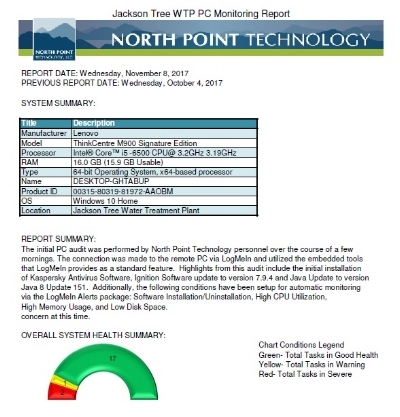 With our latest offering, North Point will remotely monitor your control system computers to ensure they are always up to date and secure. This product is offered as a subscription service and flexible terms such as monthly, semi-annually, or annually are offered for your convienance. Dump SQL database to a self-contained file.